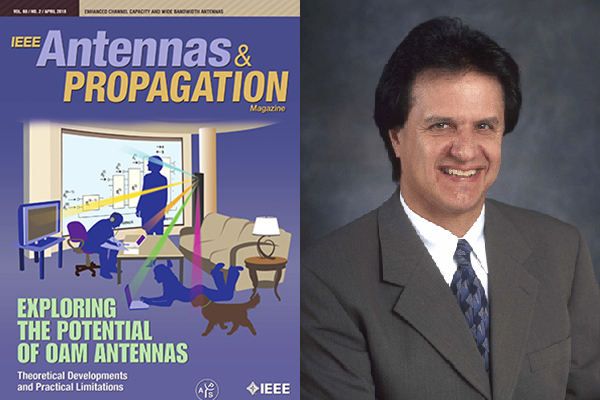 Distinguished Prof. Yahya Rahmat-Samii’s co-authored paper on the timely topic of the orbital angular momentum (OAM) beams and its generation using a novel reflectarray antenna appeared on the cover page of the IEEE Antennas and Propagation Society Magazine with nearly 20,000 circulations. The title of his paper is “Revisiting Orbital Angular Momentum Beams”, Vol. 60, No. 2, April 2018.